Cruises | Experience New Orleans! New Orleans is one of the busiest cruise ports in America – not only because of its easy access to the Gulf of Mexico and the Caribbean, but because you can discover America á la Mark Twain on the Mississippi. 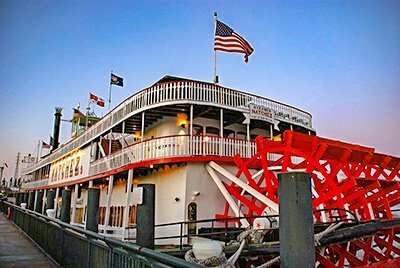 Take an overnight cruise or come onboard the Steamboat Natchez for a couple hours on a harbor, brunch or jazz cruise. If you’re planning a longer adventure, remember New Orleans is more than just a place to park your car. The city is one of the most exciting ports in the world. Plan to spend a few days discovering the city’s unique history, food and music before or after your cruise. 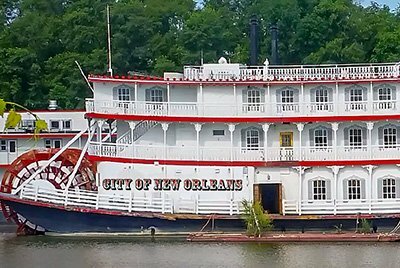 Follow the merry sound of the calliope to the river where you can board the Steamboat Natchez for a dinner, Sunday brunch or harbor cruise back to 1860. Sip a mint julep as you listen to live jazz and take in breathtaking city views. Make sure your kids get to see the engine room, which looks like it belongs in a museum. Then sit down to a fabulous buffet featuring classic dishes like Southern Fried Catfish, Gumbo, Red Beans and Rice, White Chocolate Bread Pudding and more. Look what’s up yonder ‘round the bend! It’s The Riverboat City of New Orleans, sister vessel of the Steamboat Natchez! Launching in Winter 2019, The City of New Orleans will operate from the Lower Bienville Street Wharf and offer tours of Mardi Gras World. 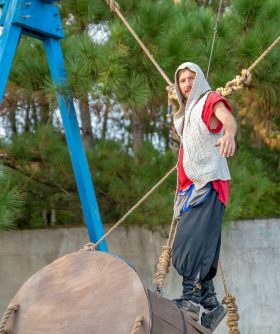 There will be old-timey calliope concerts at 1:15 p.m. every day and tour options include the Mardi Gras Jazz Brunch Cruise, the Jazz Brunch Cruise & Mardi Gras World Tour Combo and the Jazz Dinner Cruise. The 189-foot-long, 55-foot-wide riverboat has three enclosed decks. It is licensed to carry more than 1,000 passengers – perfect for weddings, family reunions, corporate events and other group outings. They’ll offer special rates for groups of 75 and up. For more information please visit our website. The grand American Queen and the America Duchess offer river cruises from New Orleans of varying lengths. For more information, visit www.greatamericansteamboatcompany.com. The Queen of the Mississippi and American Eagle offer round-trip vacations from New Orleans. Find out more at www.americancruiselines.com. 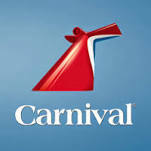 Carnival's DREAM has New Orleans as its home port and cruises Sunday-Sunday, and the ELATION offers 4 & 5 day cruises. 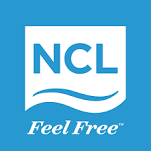 NCL's PEARL departs out of New Orleans from October - May offering weekly cruises - Sunday-Sunday. Starting in November 2018, the BREAKAWAY will call New Orleans its home port. Ports of call will include Cozumel and Costa Maya, Mexico; Ocho Rios, Jamaica; George Town, Grand Cayman; the Roatan Bay Islands, Honduras; and Harvest Caye, Belize, an island owned and developed by Norwegian Cruise Line. Royal Caribbean's VISION OF THE SEAS will begin sailing from New Orleans in December 2018. 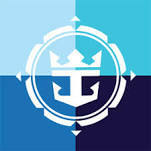 It will be offering week-long cruises to the Bahamas and Mexico's Yucatan Peninsula. With Advance Check-In, travelers flying to New Orleans to board a cruise can check their luggage at the New Orleans airport, and it will be delivered directly to their cruise ship cabins. 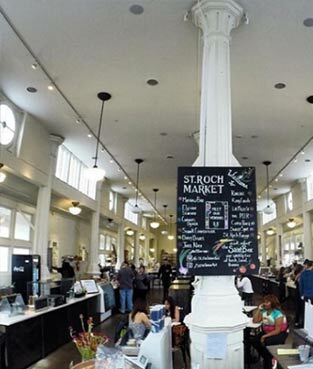 This service allows travelers to enjoy a free day in the French Quarter, taking in the sights and enjoying the fabulous food for which New Orleans is known.